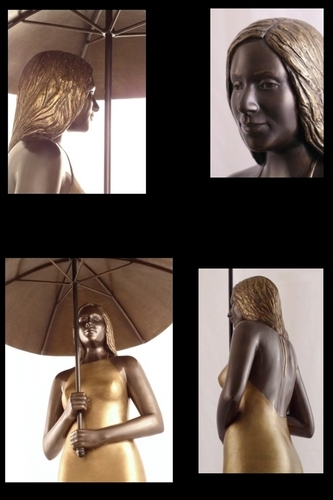 Come Rain or Shine - Bronze model for a full scale fountain. The full scale figure would be six ft. tall and the over all height of the fountain would be aproximately eight ft. The water would be flowing in an evenly regulated veil so the glistening figure would be clearly visible beneath the umbrella. It got that my painting became more 2 dimensional, as my preference for 3 dimensional sculpting grew. 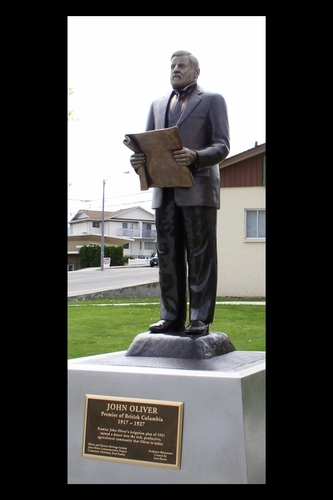 John Oliver Monument - Full scale portrait sculpture of Former B.C. Premier and Oliver Town Founder, John Oliver. Much care and dedication was taken to create this work to an exact scale ensuring accurate representation. The portrait was created by amalgamating different photo referrences to bring to life the timelessness of character. 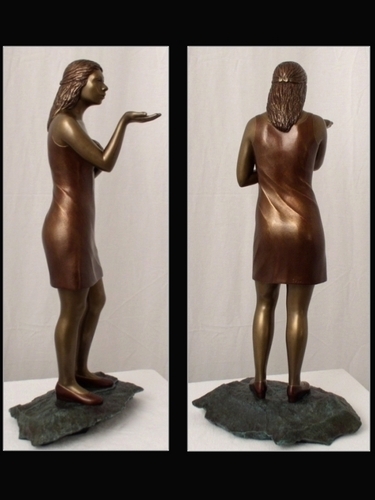 For You - Bronze model for a full scale figure. The young lady is blowing a kiss. In the design of my figure sculpture I look for the essence of form from an abstract perspective. 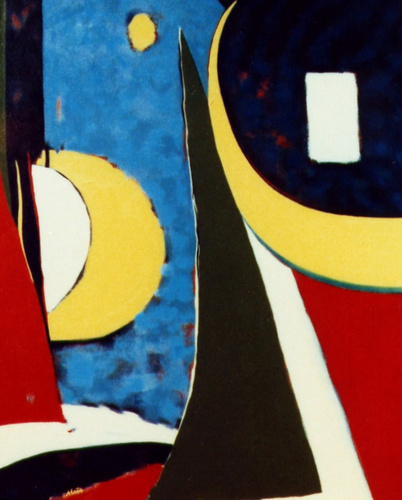 That is to say that if one were to forget the subject matter, the elemental form itself would still be visually stimulating in its' compositional movement with light, shadow, texture, and three dimensionality. The form is compositionally sound from every perspective whether symetrical or asymetrical in nature. 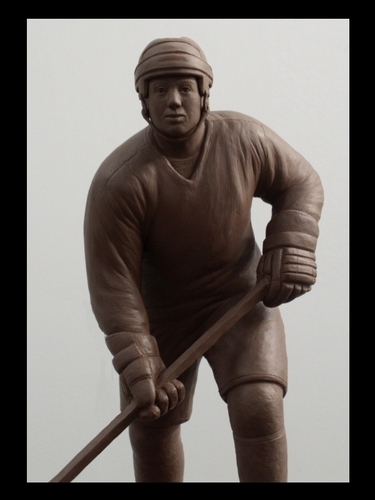 Hockey Player - This is a clay model created to an exact scale to be recreated larger than life by fabricating in steel. I have a passion for working with steel, and have made several public proposals for unique, sensitively crafted, very durable, and cost effective works of art. This hockey player was proposed to the city of Penticton. After a great deal of work and effort to submit this and numerous other proposals for Penticton going back to 2000, and several attempts to communicate, my proposals and courteous efforts made in communications with Penticton have been ignored. It saddens me because I know the residents would appreciate the style of work I do. Also with the costs of producing large sculptural works, I am dependant on the support of local communities and/or sponsors and patrons for funding. I dedicate myself to excellence in my work, and guarantee to produce results that meet and hopefully exceed my clients expectations. Specializing in Contemporary Figure Sculptures, Sensitively Created in the Tradition of European Masters. Public and Private Commissions are Welcomed. Sculptures, Fountains, and Bas-Relief are Available in Steel, Bronze, and Other Materials.